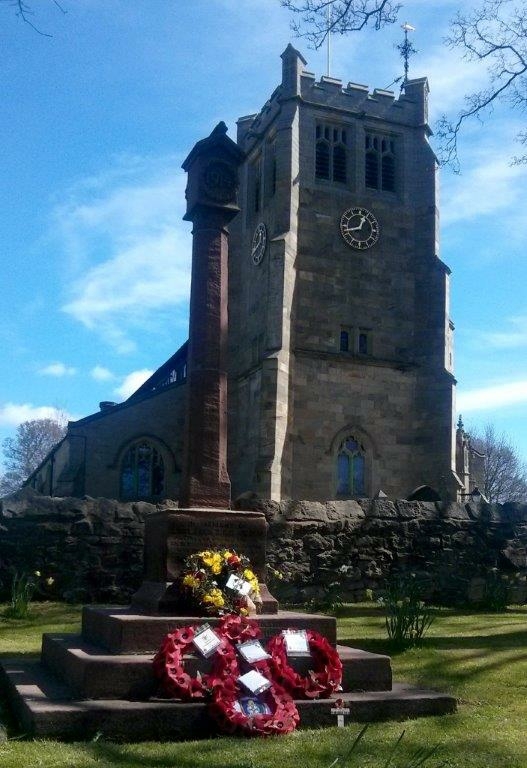 Today, Sunday 26th April 2015, a special service took place in the churchyard of St Matthew’s Church in Buckley to commemorate and honour Buckley man, Fred Birks who emigrated to Australia in 1913. 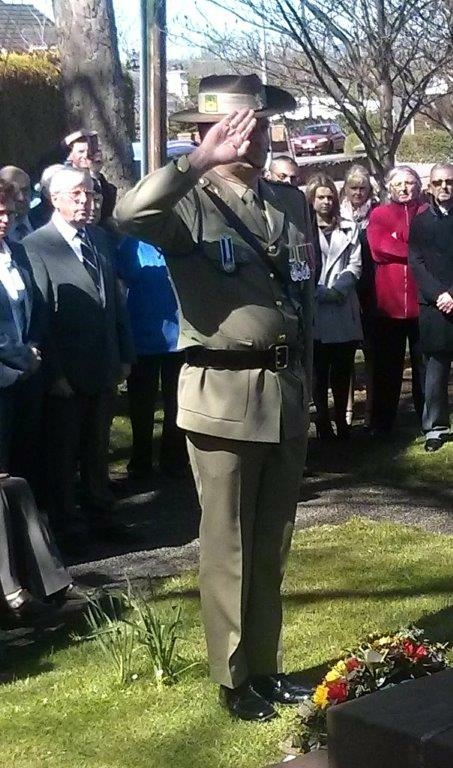 He enlisted in the Australian Infantry the following year and served in Gallipoli, the Somme and Ypres. He was awarded the Military Medal and the Victoria Cross. There is a special memorial to him in the Churchyard at St Matthew’s which today was the focus of the commemoration. Follow the link to read Fred Birks’s story on this website. 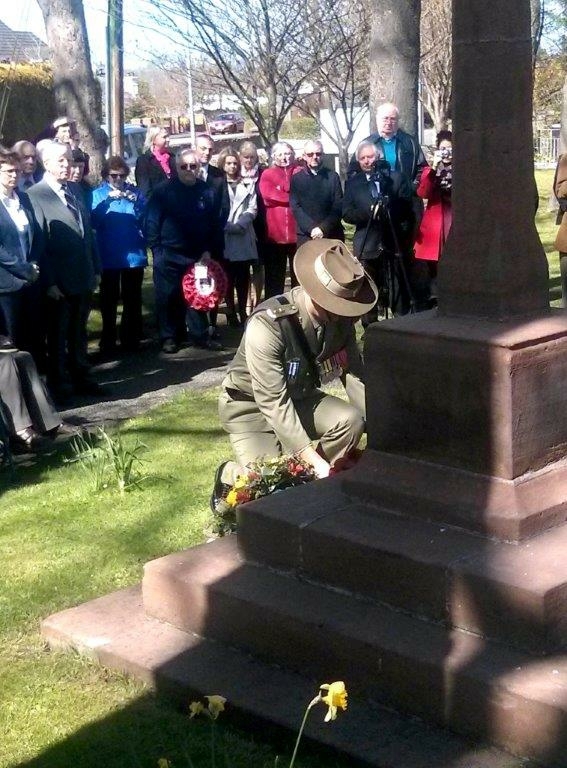 One Australian Soldier honours another. 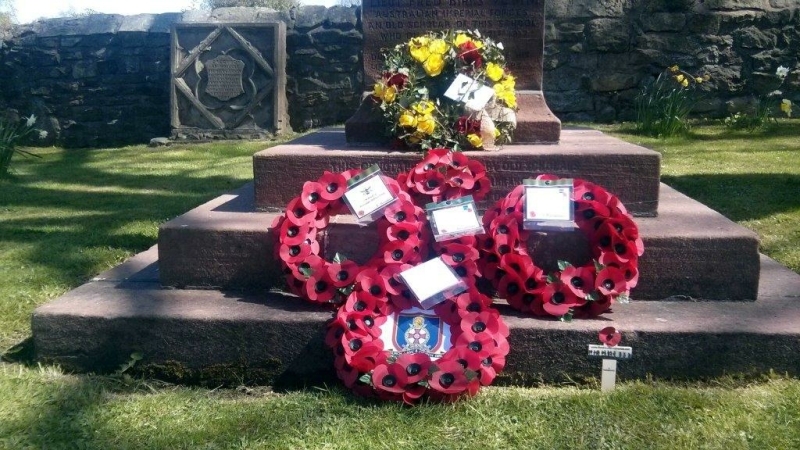 The Fred Birks MM VC memorial in the churchyard of St Matthew’s Church after today’s ceremony. Other wreaths were laid by members of Fred Birk’s own family, the Mayor of Buckley and others. The British Legion were in attendance and the last post was played.